What is the last date to submit NID 2019 Application Form? The last date of submitting Application Form of NID 2019 will be 31st October 2018. When will the Application Form of NID 2019 Release? What is the starting date of application form of NID 2019? Is there any negative marking in this exam? 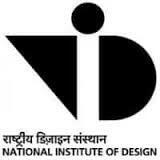 Application Form of NID 2019 will release on 25th September 2018. There will be no negative marking in this exam. To know more about important dates, click here. The application form for NID 2019 will be notified at which date? The NID Application form for the year 2019 has not been released. We will update the dates as soon as the dates are released on the website. Follow the link to get the important dates. When is the merit list for M. Des. has been released? How can i Access? The Merit list has updated on the website on 2nd May. Click on the link to know more about the Important dates. When will the result come out? The NID result will be announced in the month of February 2017.